Jodi Lovell chatting with a group of women in Spain. As we prepared to move to Spain, I was unsure what my life and ministry would look like. I had assumed that being a minister’s wife in Spain would have at least some similarities to what I had observed in Sydney. But we did not even know where in Spain we would be serving, so I did my best to hold loosely to any expectations. In Australia, I had enjoyed being involved in ministry to women, but most of this was through established ministries. Weekly Bible studies, one-to-ones, and groups for mothers with toddlers provided a clear framework which facilitated these different ministries. When we arrived in Valencia, none of these structures existed! During our seven years, the majority of my ministry to women has been informal and I have needed to adapt to changes and new opportunities as they have arisen. I was enjoying a one-to-one Bible study with a young mum from church while she was studying, but after just a few months she had to return to work and was unable to continue meeting. Day-to-day life and regular contact with other women is where God has provided constant, meaningful opportunities to minister. Some of these relationships have been with women from our church, and include long-term members with whom I have made significant, deep relationships. 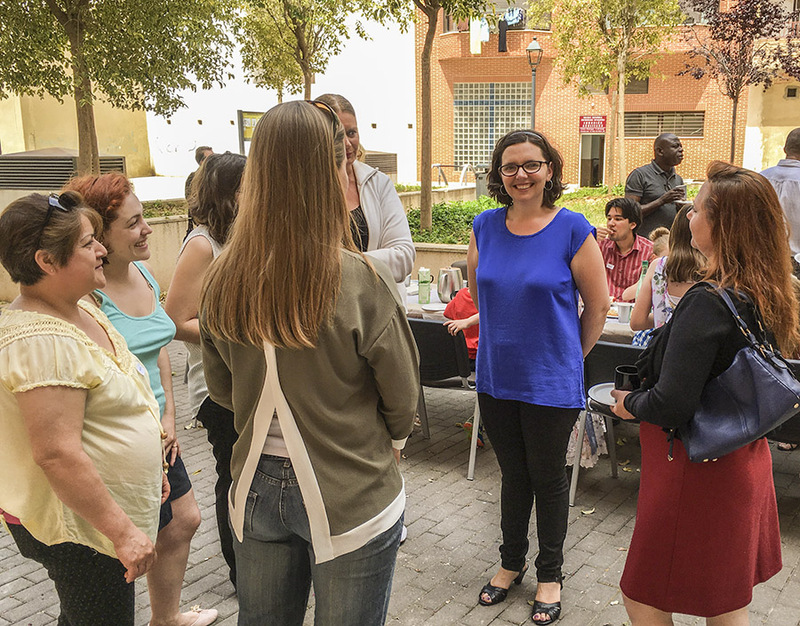 Other women may be less regular at church, or only in Valencia for a short time for a semester of study. Nonetheless I have seen God use these short but intense experiences to bring rapid growth and significant change to women’s lives. This has typically been through what feels like ordinary day-to-day ministry: taking the opportunities to love and care for those God brings into our lives and in doing that, showing his love for them. Other meaningful long-term relationships have been with other mothers from the school community. Choosing to stay and chat outside the school is often a decision that requires deliberate effort, but my experience has been that the very regular brief conversations naturally lead to deeper, meaningful friendships over time. Having six children (four of whom attend the local primary school) provides an extensive, natural network of relationships with other mums, but it can at times feel too hard to move beyond the surface smiles and ‘hola’ in the street. In these moments I try and remember that it is so often the small things that matter. It is amazing how God can use an offer of a meal or an invitation to have coffee and chat. That is not hard for me to do, but can really encourage someone new to Valencia or someone going through a hard time. In my ministry to women I have learned it is often the small things that God uses in a big way. Pray that God would use our daily small interactions, and those of our missionaries, to provide opportunities for deeper friendships and for speaking of his gospel.